The 2014 MTV Video Music awards was in full swing last night. Although I wasn’t overly impressed with any of the fashion choices, there were a few moments that I actually lived for and a few I wish I had never seen. Here are our thoughts on last night’s fashion at the 2014 Video Music Awards! I wasn’t a fan of the Taylor Swift in this Mary Katrantzou play suit. I understand that she is trying to embrace her edgier side and I’m here for it. But this onesie was not flattering. Kendall and Kylie Jenner are quickly becoming the ones to watch. The older Kardashian girls should watch out. These girls are coming for their fashion throne. Crazy eyes is crazy fly. 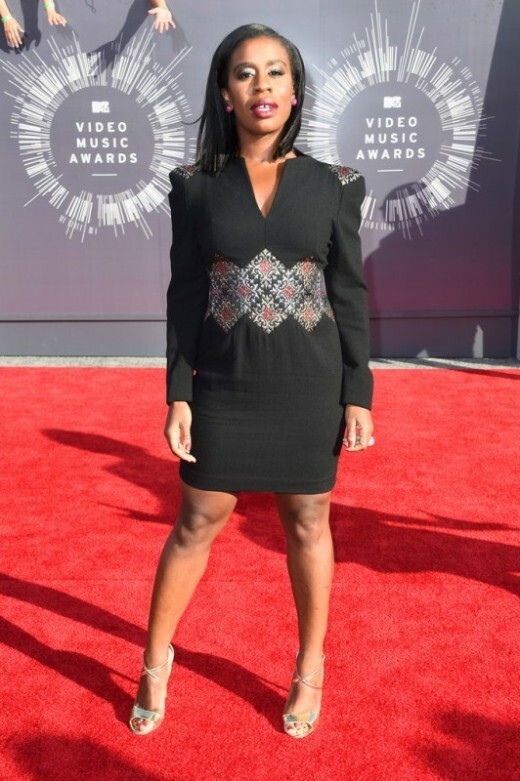 Uzo Aduba slays in this little black dress with metallic embroidery. Ariana Grande get two thumbs down for this black leather mini and thigh high boots. Mommy to be Kelly Rowland looked simply breathtaking in a halter gown. 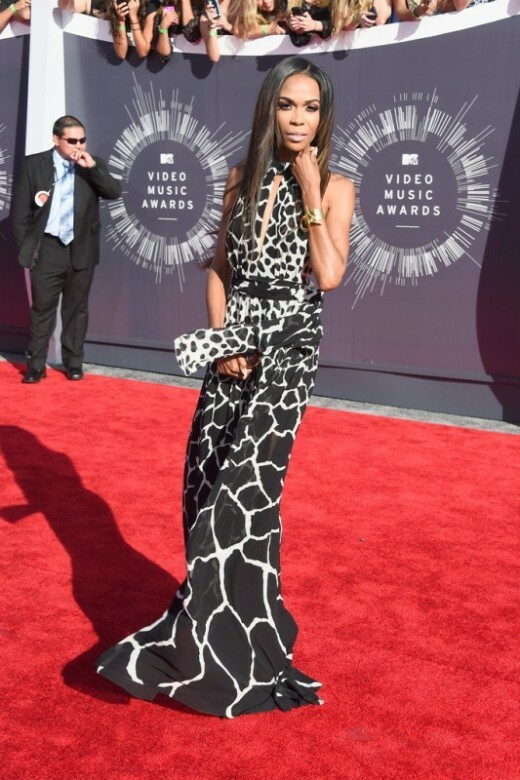 Michelle Williams looked amazing in a black and white giraffe Roberto Cavalli print gown. Laverne Cox looked stunning in a Marc Bouwer mini. Her shoe choice was not the best but overall she looked great. Yessss to Rita Ora in a high slit Donna Karan gown. 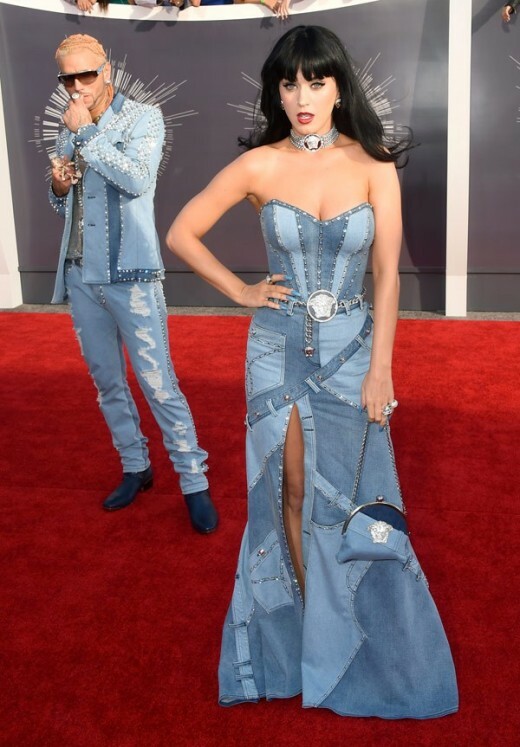 Katy Perry and Riff Raff attempted to pay homage to Justin Timberland and Brittney Spears. However, it didn’t work when JT and Britt did it and it seems really desperate now. Epic Fail! Gwen Stefani looked absolutely stunning as she graced the carpet in her own L.A.M.B. clothing line. Trash. Amber Rose showed up in a barely there Laura Dewitt number. I have to call it a number because it isn’t a dress. She should have left this one for the bedroom. Solange can do no wrong. 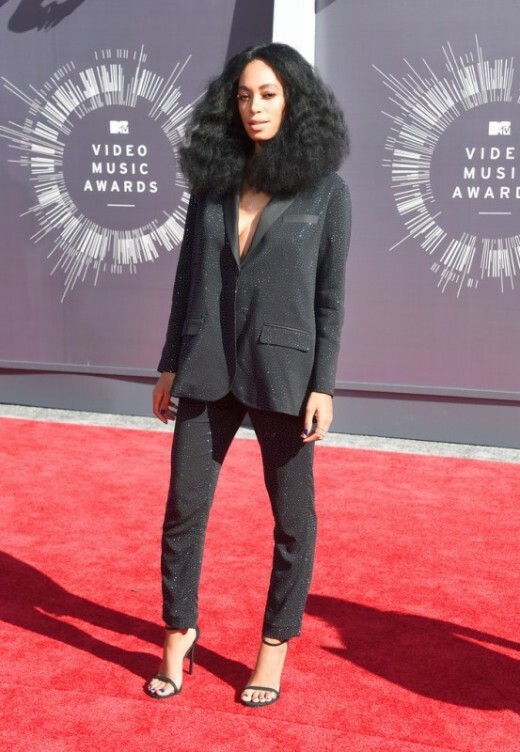 She killed it in a H&M men’s inspired pants suit. Praise Moses for Nicki Minaj walking away from the costumes. She looks gorg in an animal print cocktail dress. Yessss Beyonce slays in a Nicolas Jebran gown. I love that Miley was slightly edgy but simple and twerk free in a A leather bandeau and matching high-waist pants. JLo clearly does not even look at carbs as her body is sickening in a Charbel Zoe gown. She look stunning. I’m on the fence about Kim K’s look. I love and hate this Balmain look. Kim turned the top backwards for a more plunging neckline. Who rocked your favorite outfit last night? Comment below! The Winners of @MTV 2014 VMAs! Azealia Banks Comes For Nicki Minaj & Miley Cyrus! Nicki Minaj Experiences A Wardrobe Malfunction During Performance At @MTV 2014 VMAs!